Programs specially designed for kids between 7 and 12 years old. 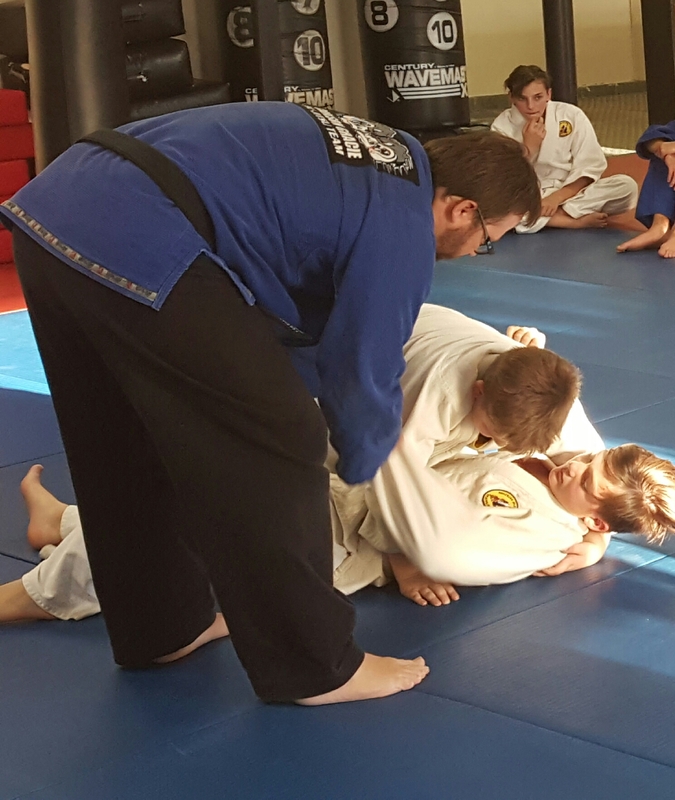 Our Youth Program classes’ offer a higher education in the Martial Arts where our students train in separate disciplines that are internationally accredited. Students can transfer their rank anywhere in the world if they move! What could the benefits of Academy of Martial Arts for children possibly be in today’s world? Training with Master Sean Racki and his highly trained instructors who have competed and won many competitions around the world brings a unique experience to our youth martial arts students. We use this training to grow our students into champions in competition and in life! We offer classes in Gracie Jiu-jitsu, Judo, and Taekwondo. In addition we also offer great afterschool programs and camps for working parents to help meet their hectic schedule. Our youth students learn how to improve scholastically and in character development. Equally important, there are other benefits such as physical fitness, weight control, increased concentration span, and learn respect for others. All this helps build a child’s confidence and self-esteem. Numerous studies show youth with confidence and high self-esteem are less likely to get involved in destructive behavior like taking drugs or abuse alcohol as an adult, and are also less likely to be bullied at school.